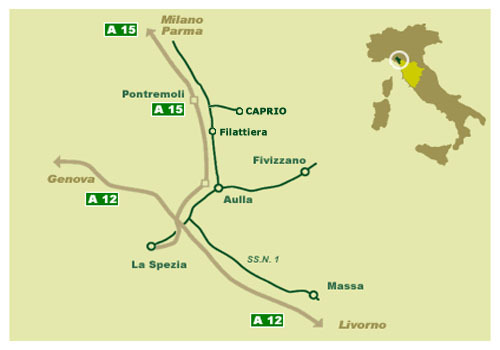 Highway A15 Parma – La Spezia: Exit Pontremoli. After the toll booth, turn right, at the end of the tunnel turn right towards Filattiera and cross the bridge over the river Magra, turn right again, drive for 3 km and turn left at the junction for Caprio. Arrivals station of Pontremoli, agree appointment with the Mulino dè Briganti.